How It Works - Nara Logics, Inc. 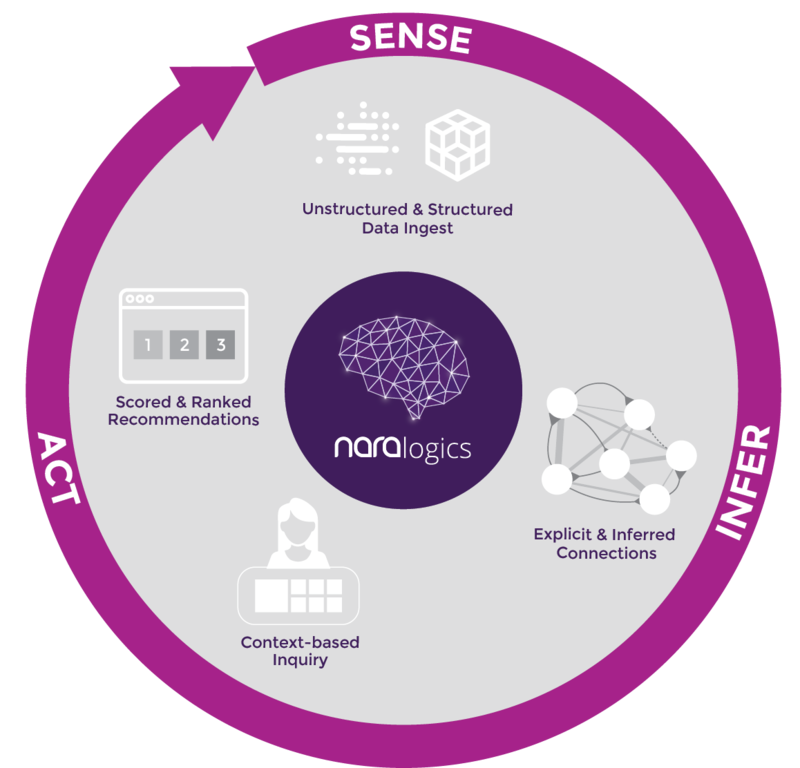 The Nara Logics Synaptic Intelligence (TM) Platform is built on brain-science. The strength of a synapse defines the strength of a connection between two neurons. We use this same connection mathematics to define when and how strongly information should be connected for better decisions in your company. Sense. We take in data with different cadences and formats — real-time, periodic, structured, unstructured. Infer. Along with building explicit connections, our platform learns how to create inferred relationships between information for better results. Act. When a context-based inquiry is made to your synaptic network, Nara Logics responds in milliseconds with a rank-ordered set and the reasons behind each recommendation.